We are finally getting up to speed with 2015 and the NBA is in full swing. There are a number of great games to look forward to on Saturday but it will take a good while to run through the full list of games from Friday night! The Cavaliers grabbed a win in Charlotte, defeating the Hornets by a score of 87-91. The Celtics welcomed the Mavericks and Rajon Rondo to Boston, but the away team took the spoils in a 101-119 win. The Wizards lost out to the Thunder, the Oklahoma City team triumphing by 109-102 and the Pacers narrowly beat the Bucks, the away team winning by 91-94. The Jazz slipped up at home, losing 92-98 to the Hawks and the Lakers also lost at home, the Grizzlies winning 106-109. The Nets grabbed a great win in Orlando, defeating the Magic by a score of 98-100 and the Pistons beat the Knicks in New York, by a score of 81-97. The Pelicans dealt with the Rockets in New Orleans, sending the losers back to the Houston after a 111-83 score. 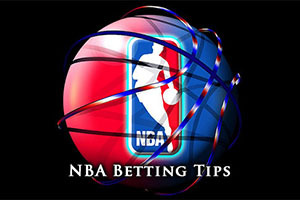 The Suns defeated the 76ers by a score of 112-96 and the Warriors trounced the Raptors by a score of 126-105. The Hornets come into this game with a 10-24 record, and this includes a 3-12 record away from Charlotte. They face an Orlando team that currently holds a 13-23 record, which includes a 4-11 record at home. The Magic give the impression that they much prefer playing away from home and this could be a close game. Both teams are suffering a poor run of form at the moment with the Hornets having lost their last five matches. The Magic have lost their last two games and with respect to their last five games, they currently hold a 2-3 record. The Magic may be in slightly better current form than the Hornets but it isn’t by much and neither team has much to shout about these days. While the Magic lost out on Friday, there are some positives to take from the narrow 98-100 loss to the Nets. At one point, Orlando was trailing by 25 points but they outscored Brooklyn by 37-14 in the last 12 minutes of the game, just failing to turn the game around. Victor Oladipo grabbed 17 points while Elfrid Payton showed that he has some future in the game by grabbing 16 points, 10 assists and 9 rebounds, narrowly missing out on a triple-double. The Hornets lost at home to Cleveland on Friday night, dropping 87-91 although the form of Gerald Henderson, grabbing 14 points, was a big positive for the team. The Magic are monitoring the progress of Maurice Harkless on a daily basis and the Hornets have a number of concerns to contend with. They are monitoring Gary Neal while Lance Stephenson, Al Jefferson and Jannero Pargo are all causing concern, with Jefferson being a big loss for the team. The Celtics head to Chicago with an 11-19 record and this includes a return of 3-9 when they are away from Boston. 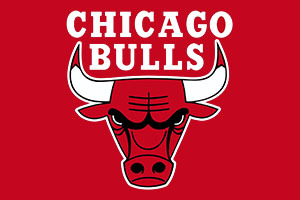 The Bulls meanwhile are able to boast of a 23-10 record, and this includes a home record of 9-6. This may be a game between two of the most famous basketball teams you can ever hope to find but at the moment, there is a big contrast in fortunes between the two sides, which is reflected in the odds on offer for this match-up. However, the Celtics come into this game on the back of one loss and the Bulls come into this game on the back of a win. The real difference can be seen in the last five games though as this is where the Celtics hold a 1-4 record while the Bulls hold a 4-1 record. The Bulls ushered in 2015 with a win against the Nuggets, clinching the victory with a 106-101 win. Jimmy Butler grabbed 25 points and Pau Gasol offered up 17 points, 9 rebounds and 18 blocks but it seems as though many eyes were falling on Derrick Rose, who had a strong final quarter. The Celtics had a tough night on Friday as Rajon Rondo returned to Boston and was given an excellent welcome. Sadly for the home crowd, Rondo turned on the style, grabbing a season high of 29 points in the 101-119 win for the Mavericks. Marcus Thornton is tipped to be out for the Celtics while Jared Sullinger is being monitored on a daily basis by the Boston side. Mike Dunleavy is being monitored closely by Chicago while Kirk Hinrich and Doug McDermott are causing more concern for the Chicago side. You expect the Bulls to win this game, and it wouldn’t be a shock to see them take it convincingly which is why the 1.90 odds for the Bulls, even with an -11.5 handicap, will likely give you a good return for your money. Bet Now! The Heat come into this game with a 14-19 record, and this includes an 8-7 record away from Miami. The Rockets hold a 22-10 record, and this contains an 11-6 record in Houston. Both teams come into this game on the back of a loss though, in fact, the Heat have lost their last three games. The Heat have a 1-4 record and the Rockets hold a 2-3 record so the festive period hasn’t been particularly joyous for either team, but the start of a new year is an ideal time to turn things around. This will be Miami’s first game of 2015; they played on the 31st of December, losing out to Indianapolis 105-96. This will be the Rockets first home game of 2015; they played in New Orleans on Friday night, losing 111-83. Chris Bosh is tipped to return for the Heat and aside from that, neither team has any notable injury concerns. It could be a tight one due to both teams being low on confidence at the moment but with home advantage, and the slightly better track record this campaign, taking the Rockets with a narrow negative handicap is likely to be a sensible option. Bet Now!